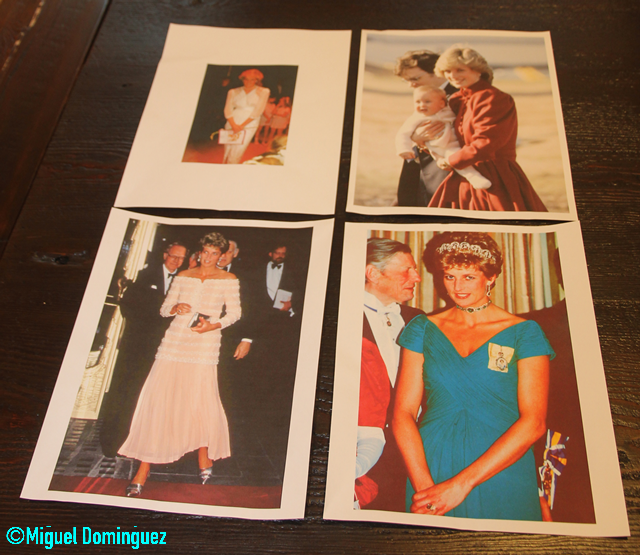 The five dresses designed for and worn by Britain's late Princess Diana were auctioned in Los Angeles for nearly half a million dollars. 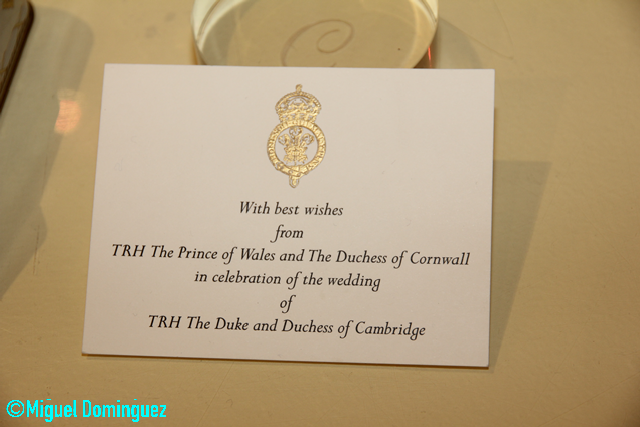 Three of them were made by British dressmaker Catherine Walker, Diana's favorite designer and close personal friend, as well as one by Caroline Charles and another by Zandra Rhodes. 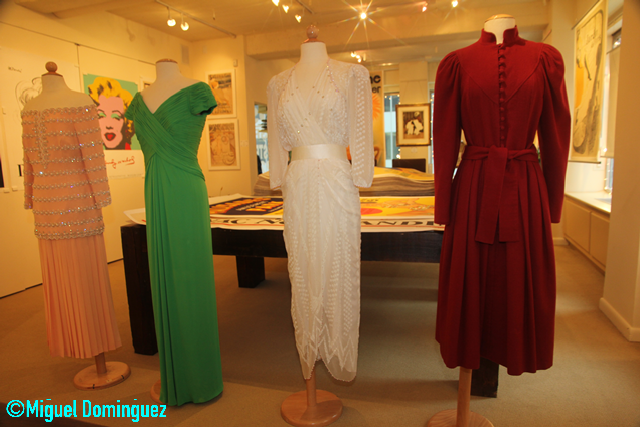 The dresses went under the hammer, along with other Diana and Royal family related items, at Julien's Auctions in Beverly Hills. The chartreuse Taroni silk georgette gown designed by Catherine Walker and worn by Princess Diana on November 11, 1993 to the banquet held at The Dorchester Hotel given by His Majesty the Yang di-Pertuan Agong of Malaysia fetched $81,250. The Zandra Rhodes evening gown worn by HRH Princess Diana to the Birthright benefit at the London Palladium in 1987 and previously exhibited at Kensington Palace in 2002, which was estimated to sell for $80-100,000, went for $100,000. Off-the-shoulder petal pink gown embellished with bands of simulated pearls, faceted glass and beadwork by Catherine Walker gown double worn by Diana to the reopening of the Savoy Theatre and to a performance of La Bohème at the London Coliseum in 1993 went for $75,000. The Caroline Charles burgundy wool coat dress was the surprise of the five, going for $125,000—easily beating its pre sale estimate of $20-40,000. 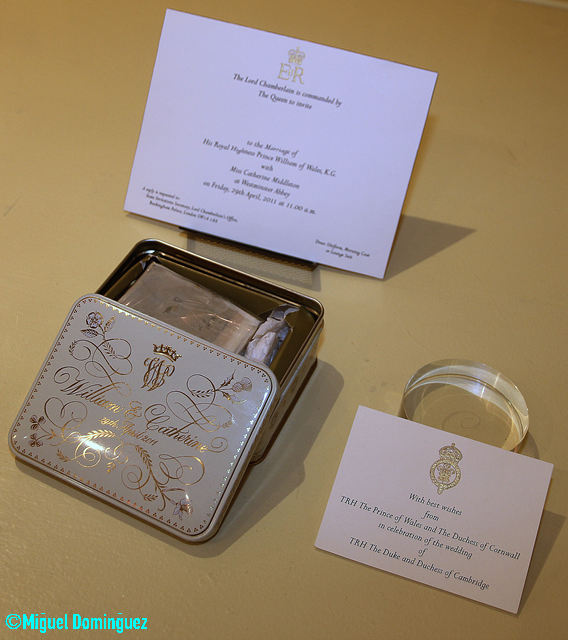 In keeping with the Royal family, a slice of royal wedding cake from the marriage of Prince William and Kate Middleton in a presentation tin presented to guests and dignitaries at their wedding on April 29, 2011 and inscribed was offered in the auction (Estimate: $1,000-$2,000). 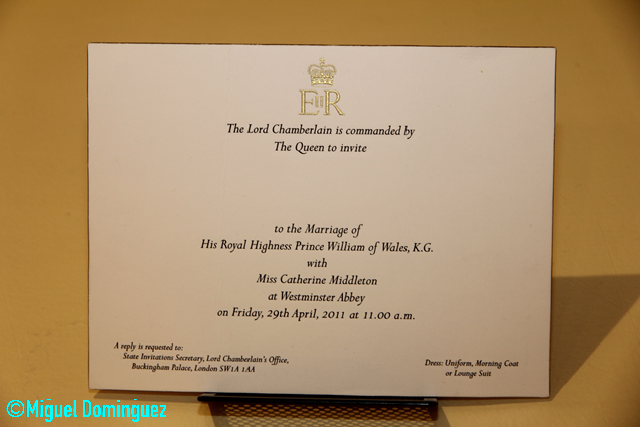 Also included in this lot is a blank invitation to the wedding presented on HRH Queen Elizabeth II stationery. also up for sale at Julien's Auctions on Dec. 5 and 6.